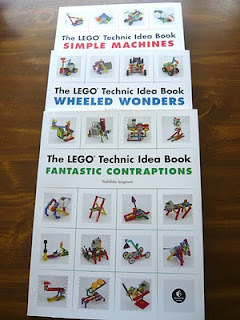 For LEGO fans and teachers/instructors of LEGO technology and robotics here is a nice series of books to inspire ideas. They were originally published by Yoshihito Isogawa in Japanese (of course), but they have just been released by No Starch Press, in I guess you could say a universal language - pictures and icons. 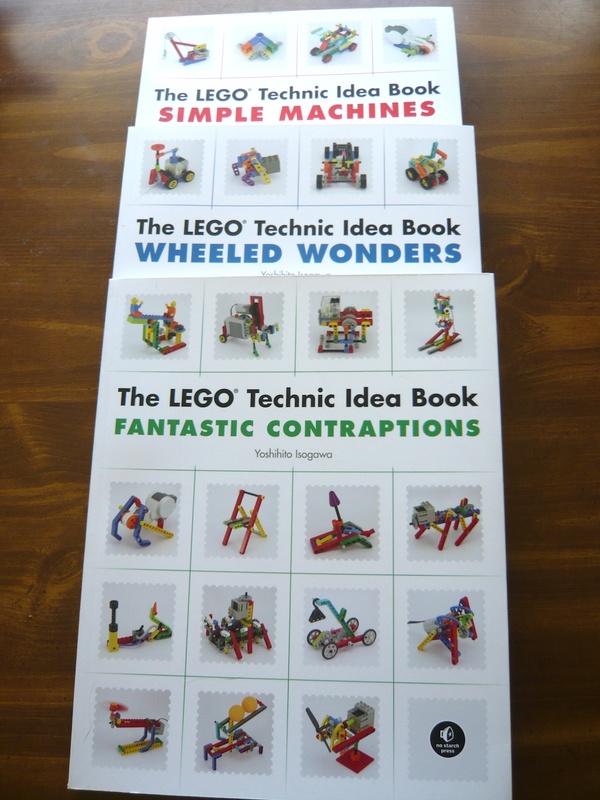 The series of three books: The LEGO® Technic Idea Book Simple Machines, The LEGO® Technic Idea Book Wheeled Wonders, and The LEGO® Technic Idea Book Fantastic Contraptions, No Starch Press, 2010, shows you model ideas that can apply to LEGO® Technic building, as well as, building with Mindstorms® RCX elements, Mindstorms® NXT elements, LEGO® Power Functions, Pull-Back motors, and Wind-Up motors. There aren't detail instructions for building the little models, but honestly it isn't needed with the various views of the models and icons. What I like about these cool little models is that they can be used to teach various science concepts such as, gearing, Newton's Laws, Potential & Kinetic energy - to name a few. Also, for the teacher who has limited equipment, because these are small models using only a few elements, several models can be made from one Mindstorms® kit allowing more students to have hands-on. And of course, these little models will inspire students to create their own. So for anyone new (or old) to LEGO® Technic building, these three illustrated books are a nice addition to your library.